NASA / JHUAPL/ Carnegie Inst. of Wash. 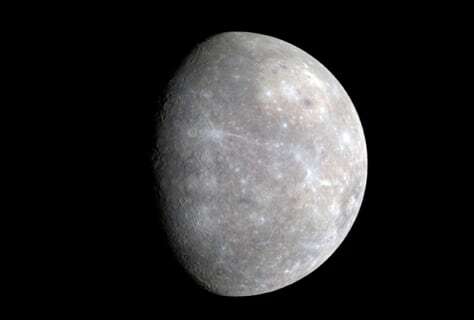 This enhanced-color picture of Mercury was produced using data gathered by NASA's Messenger probe as it receded from the planet, after making its closest approach on Jan. 14.